Whether you’re already an official Angeleno or on your way to moving to the West Best Coast, we all have something special in common: We love LA! And what better way to show off your love for the city of angels than by paying homage to the beaches, the palm trees, and the bright Hollywood lights with a little LA-inspired decor? Our search for the best accessories started when photographer Catherine McDonald followed us on Twitter and we clicked through to her website. A few clicks later and we were madly in love with her pics and her pillows! 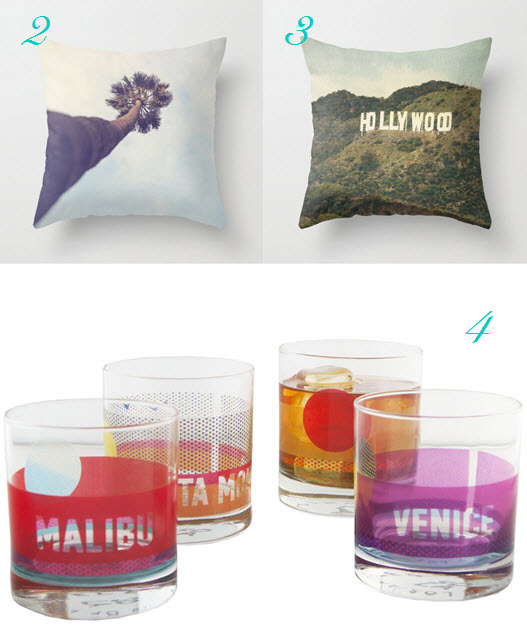 So much so that we were inspired to find some fun decor to help bring a little bit of LA home to your apartment. Welcome to the land of fame, excess. Are you gonna fit in? Of course you are! 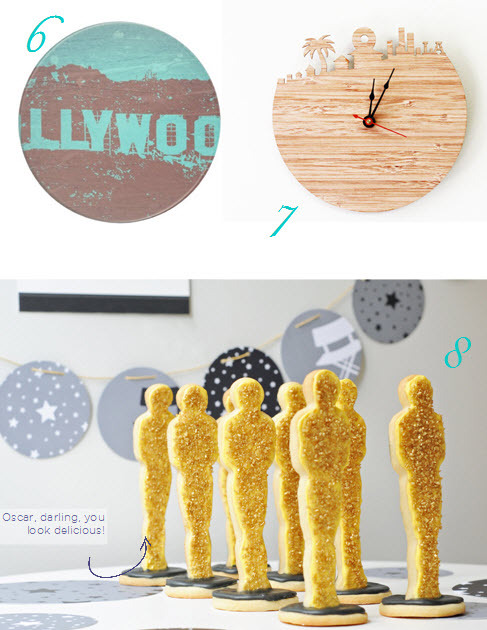 And now so will your apartment with these fun and fabulous LA-inspired decor items. The city of Los Angeles as seen from Griffith Park Observatory. Palm Tree in Los Angeles, California. Pillow is professionally printed with original artwork. One-sided or double-sided printing. Hollywood sign in color. Pillow is professionally printed with original artwork. One-sided or double-sided printing. Surf’s up at Venice, Santa Monica, Malibu, and Zuma with this set of four beach glasses. The perfect way to celebrate the end of a day, the ultimate wave, or that one-way ticket you just booked to LAX (whoop! whoop!). Each 11 oz. glass is printed with organic inks right here in Los Angeles. Because organic and local is so LA. Black and white photo of Downtown Los Angeles (DTLA). While you’re sittin’ pretty in el baño, you can close your eyes and imagine lip syncing to Katy Perry’s “California Gurls” while making your way through LA traffic. This modern clock features the iconic Randy’s Donuts, Beverly Hills palm trees, a view of downtown, and LA’s initials. You can set it to your local time or mount it next to another wall clock with the time in Los Angeles. You know, so you can get acclimated to your future time zone, dahling. Nicole Perry of YumSugar cleverly used a mummy cookie cutter and magically transformed the shape into an Oscar! You can sit with us, Nicole Perry. Fresh, spicy green, crisp scent with hints of caramel and fruity apple. Yep, that smells like Silverlake to us. Notes of cape chamomile, cucumber, tuberose and sandalwood. Oh yeah, we can smell the hipsters now. (Is that a hint of kale we detect?) All Stark candles are 100% soy wax with a cotton wick and hand poured in Los Angeles. How very LA of them. Using Myan Soffia’s images as three interchangeable lids, Cat from Polarity has created this gorgeous magnetic locket. Flaunt your LA style with pictures of the Chateau Marmont, LA skyline, & Hollywood Roosevelt hotel (Marilyn Monroe’s ghost not pictured). This street sign of Los Angeles lists the locations that every traveler should visit on a trip to The City of Angels. This giclee by Zoey Riley lists all of the destinations that should never be missed in the amazing city in which they are located. Wait, we have a Main Street? Jet-set to LAX without leaving home. Just a spritz of this Los Angeles perfume will spark scent-sational memories of sauntering down Robertson. Conjuring the subtle aromas of life in your favorite urban oasis, this fragrance sparkles with notes of jasmine and gardenia. Each packaged perfume comes travel ready: the bottle is designed to look like a baggage claim ticket. Jot down all of your memories and star sightings in Beverly Hills. And be sure to get Lisa Vanderpump’s autograph (and Giggy’s paw-tograph) when dining at Villa Blanca. 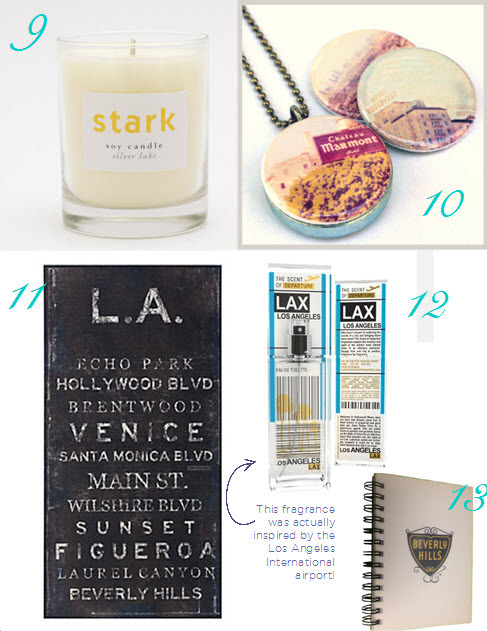 What’s your favorite item from our LA inspired decor picks above? Let us know in the comments below. Head on over to our Pinterest page for even more LA Decor selections including a candle by Million Dollar Listing Los Angeles’ Madison Hildebrand that smells like the beaches of Malibu. Happy decorating! If you liked this, share it. Awesome collection! 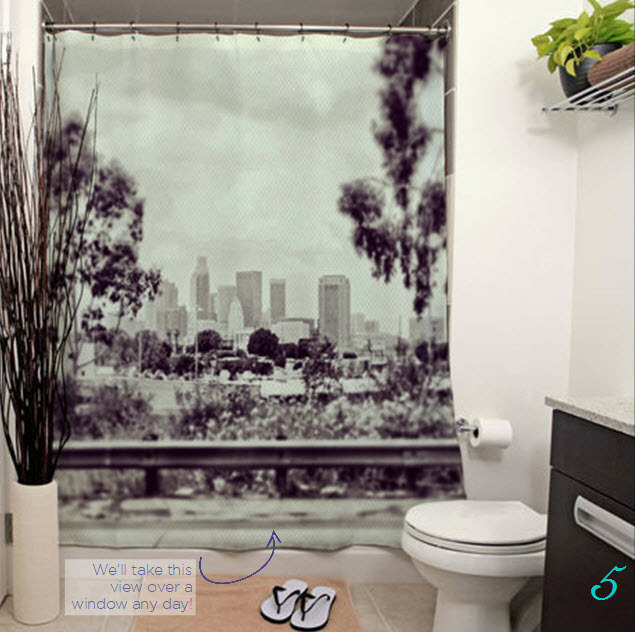 Thank you for including my DTLA Shower Curtain Design!! We love your work, Janet! Your stuff is amazing.